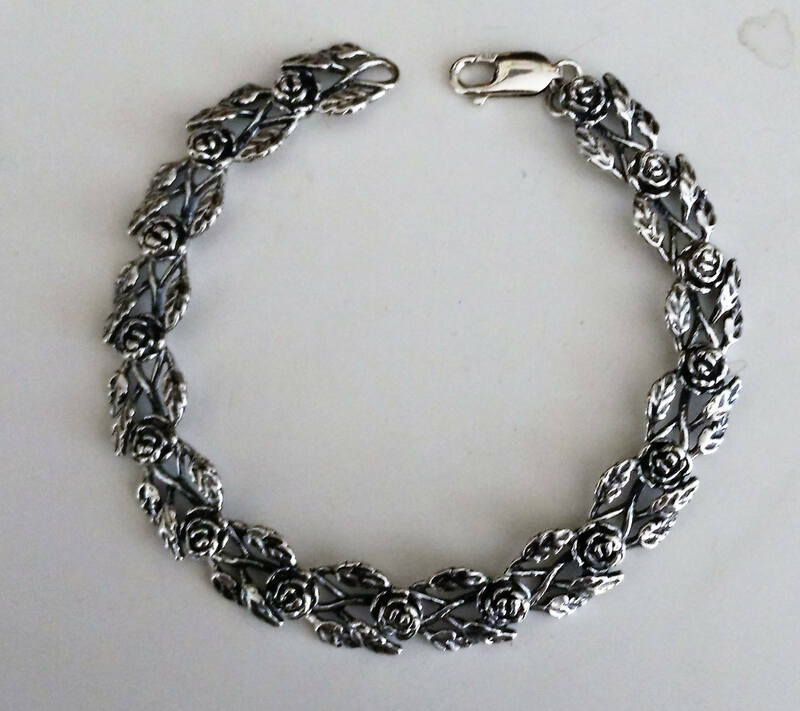 This is a handmade vintage style rose link bracelet I make to order in solid 0.925 sterling silver. Each link is 1.5cm long, 1.1cm wide, and 0.6cm thick at the rose head. 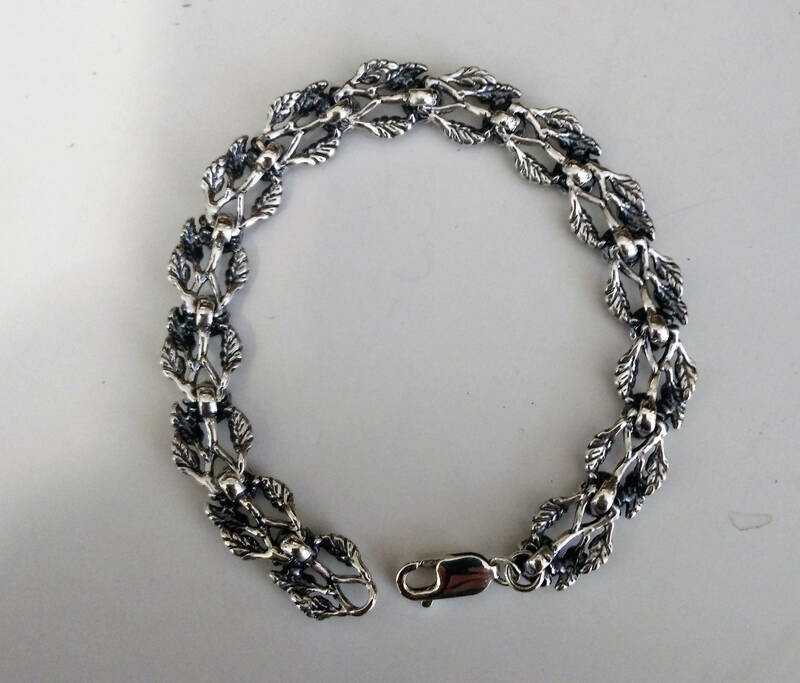 The design dates from the 40's and comes from a jewellery shop that closed down 20 years ago and sold their mold designs in a lot sale. Each link is soldered on the underside and is very sturdy. I also make these as earrings if you want a matching set, as well as in antique bronze. 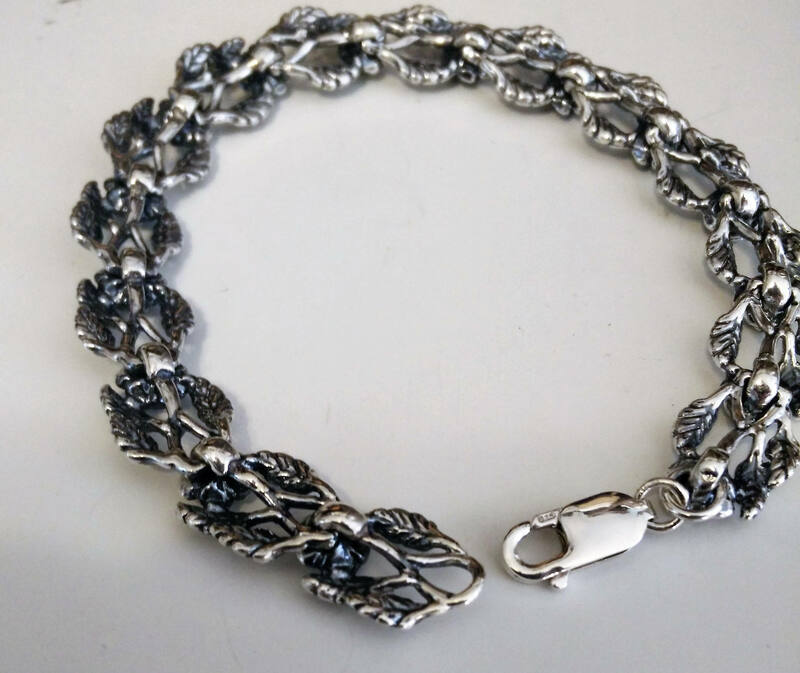 This bracelet is made smaller or larger as needed. The underside joining links are soldered closed so no chance of losing it. It's not heavy, but I don't think you'll find another like this, especially not in sterling silver! It takes me about a week or 2 to make, but I promise it's worth the wait! Shipping is with tracking and insurance for the value.